Author. Blogger. Fighter. Former nurse and martial artist. Amy doesn’t just write speculative fiction, she lives and breathes it. She enthusiastically explores the strange, the supernatural, and the wonderfully weird. She pours her guts onto the pages she writes, honestly and brutally revealing herself in the process. Nothing is off limits. Her favorite question is “what if?” and she believes fiction can be truer than our sheltered and controlled realities. This wife and mom is a lover of music, chocolate, the beach, and cherry vanilla Coke. Her home is a zoo, filled with teenagers–both hers and those she seems to collect–two dogs, a cat, and various fish and amphibians. Strangely enough, her kids are the ones who have to tell her to turn the music down. It is her firm belief that everyone should have a theme song. Originally from Arkansas, Amy currently resides in Indiana. She and her Taekwondo-instructor husband are constantly acting like overgrown kids–and loving every minute of it. She longs for the day when her husband retires, so she can write her adventures of love and war on a back porch overlooking the ocean. In flip flops. RESILIENCE is almost here! 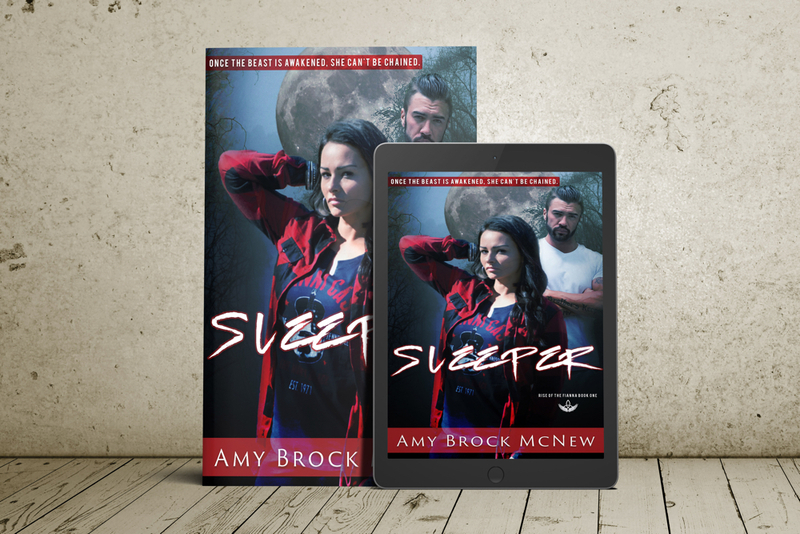 Amy Brock McNew’s next book in her series. So exciting!!! The fiercest warriors emerge from the most brutal storms. Liz and Ryland Vaughn have fought hard to survive every threat that’s risen against them. But nothing they’ve faced compares to the battle to come. As they settle in to married life, all seems perfect and quiet. Too quiet. Being a warrior doesn’t allow for peace. Then one vicious moment throws their world into upheaval and rips their hearts to shreds. Wanting to get away from it all, they accept a mission to New Orleans to assist fellow warriors. Ryland hopes the time away will repair the rift between them, but the chasm only widens as they face an enemy so subtly horrific, they don’t even know they’re falling. As they descend into darkness, Liz’s past once again rears its ugly head. Q&A with Amy Brock McNew: Can Christians write steamy stories? Q: Tell us about your new book, Sleeper. A:How about I just share the blurb?